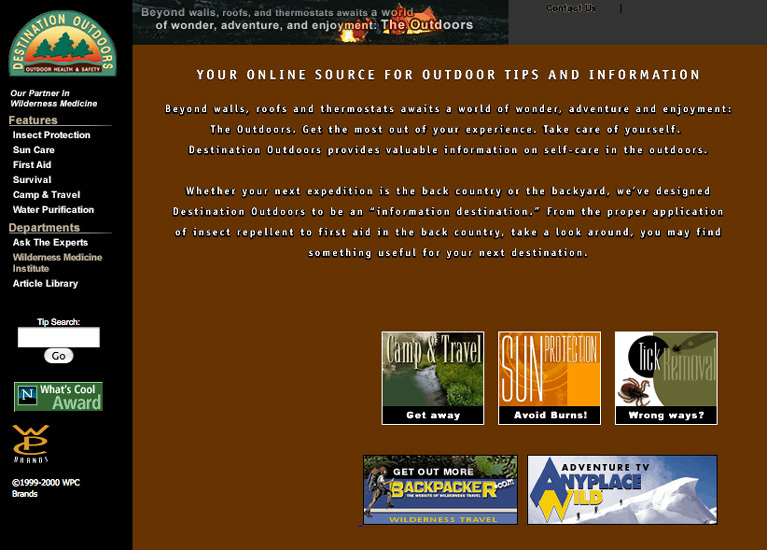 One of the first true “mini” sites, Destination Outdoors was the consumer information site of WPC Brands (now part of the Spectrum Brands family). While much of the artwork is now missing, the site was originally designed to read like a magazine, with major sections getting their own distinctive look and feel. Destination Outdoors offered practical advice for outdoor enthusiasts with tips for optimum WPC Brands product usage. There was even a section dedicated to questions and answers. While this site is over 13 years old, the User Experience/UX is still easy-to-use and the overall design engaging for the user.